Feeling threatened by the onset of Santas and elves on the shelves of every store? Does your mind turn to Grinch-y thoughts every time you see a Hallmark display? 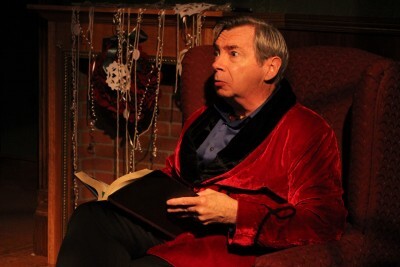 I have a cure for you that will replace that curl of the lip with a twinkle in the eye—Good Company for Christmas at the Good Company Players’ 2nd Space Theatre through December 23. 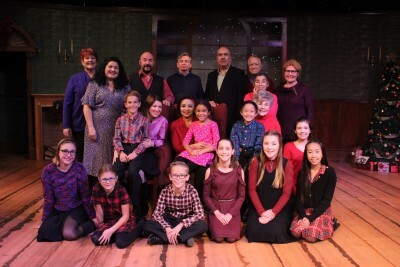 Songs, skits, and memories, woven together into a fabric of love by a troupe of young and old performers, a comforter stitched together by Dan Pessano’s writing and direction…this is a living Christmas card. The grown-up part of the cast is loaded with major GCP talents, from Gordon Moore and Mary Piona to Steve Souza and Janet Glaude to Jean Lane and Lance Casper to Jessica Sarkesian and Henry Montelongo to Ethel Birrell and Dorie Sanders to Lorna Laslie and Leslie Cunning. 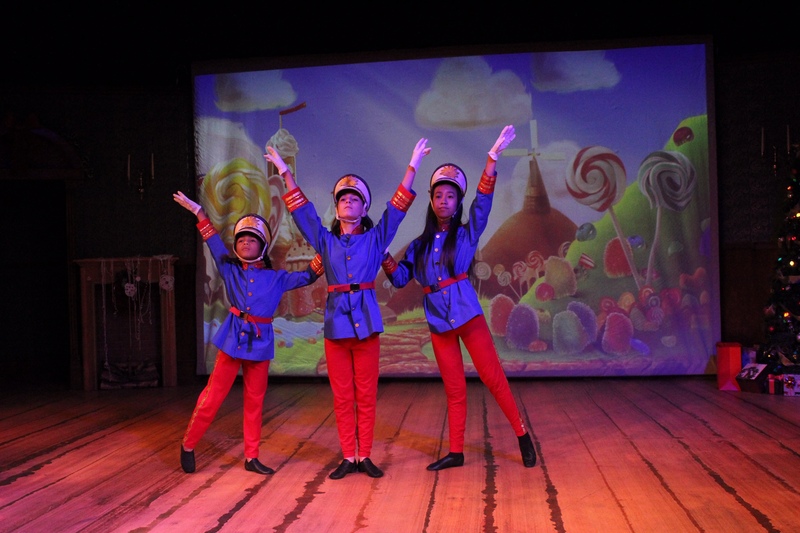 The kid roster is loaded with Junior Company members and alumni, from Vinny Folmer and Lillian Gainer to Minh-Tri Hoang and Quynh-Thy Hoang to Joey Gordon and Caroline Huey to Grace Lott and Logan McLamore, with a Good Company debut for Jaida Jacobie. Christmas is a time for music, and there is plenty to be had in this show. More than a dozen songs will make visions of sugarplums dance in your head all night long. Imagine an Andrews Sisters version of “Jingle Bells” with dancing kiddies, “The Twelve Days of…the Tower District” (a culinary tour of the blocks surrounding the theatre), Glaude and Casper doing a tender rendition of “White Christmas,” and Jessica Sarkesian erasing my dislike of “Have Yourself a Merry Little Christmas.” But wait! There’s more! Laughter is an important part of Christmas, and Pessano knows how to dish it out. Piona is swallowed up in a Frosty the Snowman costume as she hosts a variety-talk show in a Borscht-Belt style, interviewing grumpy reindeer and introducing a cooking segment by Mrs. Claus. She joins Moore and Montelongo in a breakneck sprint through the story of Ebenezer Scrooge that uses surprised audience helpers. P&M&M do battle with Souza as elves confronting the possibility of craftsmanship’s obsolescence in a world of technological toys. The “Dance of the Sugar-Plum Fairy” becomes an over-sized mismatch for some tiny dancers. Moore makes his way through “The Night Before Christmas” amid a blizzard of sound effects. If you aren’t at least smiling, you’re not living. Christmas memories are precious, and the cast shares some lovely ones of food and stockings, moms, wishes, and more. Bring tissue. One section is devoted to the memories of former Good Company Players, from struggling actor-waiters to TV regulars and a multiple-Tony Award winner…and a soon-to-return country star. A sweet version of The Gift of the Magi is acted out by pint-sized actors, and photos of the past highlight a game of “Who’s That Baby?” By the way, Birrell brightens the stage every time she steps out of the wings. All in all, it’s a cure for the holiday blahs, a kickstarter for holiday cheer, and a reminder of how much talent is packed into the tiny GCP theatre spaces. The 2nd Space Theatre is at 928 E. Olive Ave. in Fresno. For tickets and further information, contact www.gcplayers.com, or call (559) 266-9494, or check out KRL’s Good Company Players event page. You left out Morgan Sanders, the smallest of the Sugar Plum dancers and the pint-sized wife in “Gift of the Magi”…just a couple of her bits in this wonderful production! She was pretty darn cute, and I should know! I’m her grandmother!